Floppy plants looking bad? 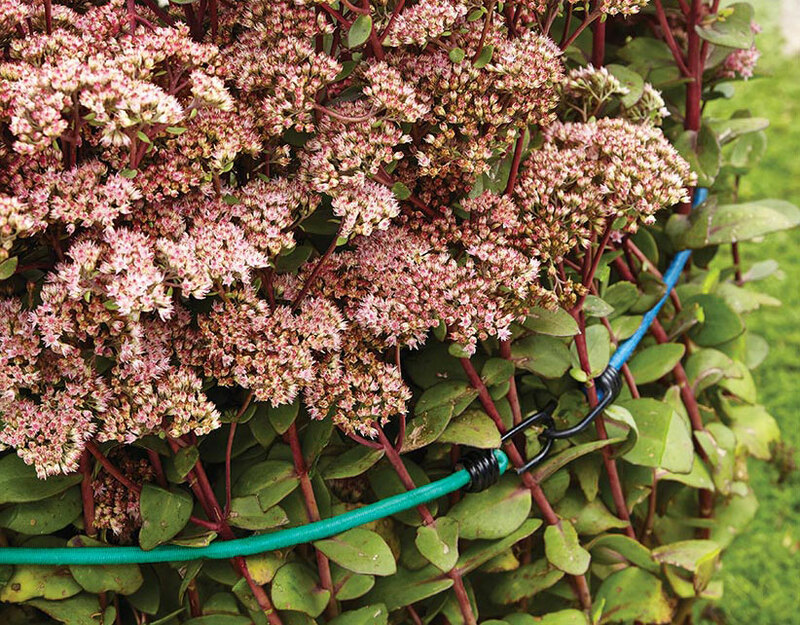 Try this quick fix for falling-down perennials. 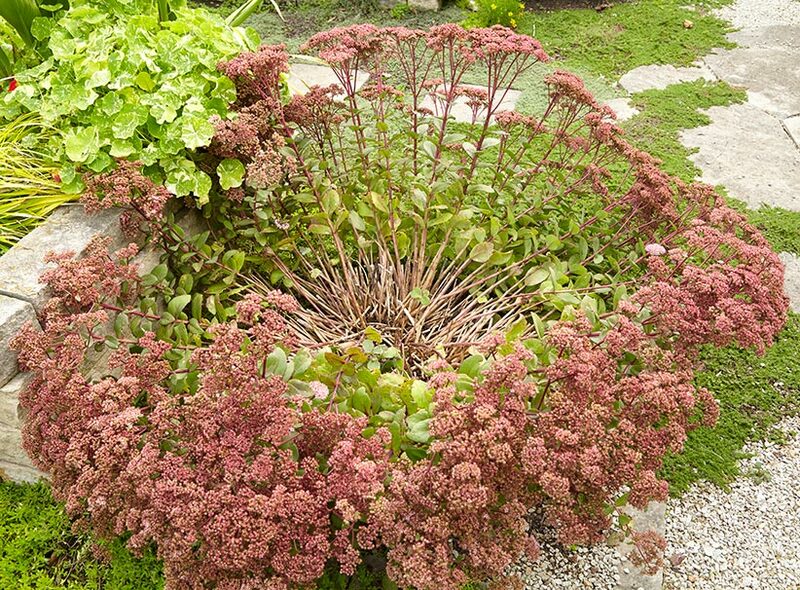 Does your tall sedum look like the before photo above in fall? Here’s a discreet and inexpensive way to get floppy perennials to stand up: Gather the stems and hold them upright with a bungee cord wrap. For large clumps, interlock the ends of two cords together to hold all the stems.